Mankind has existed for many millennia, and during all this time, people invented a variety of jewelry. People wore rings, amulets, earrings, etc., but probably one of the most ancient and popular types of jewelry is a bracelet. 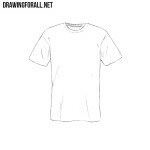 And today we want to tell and show you how to draw a bracelet. 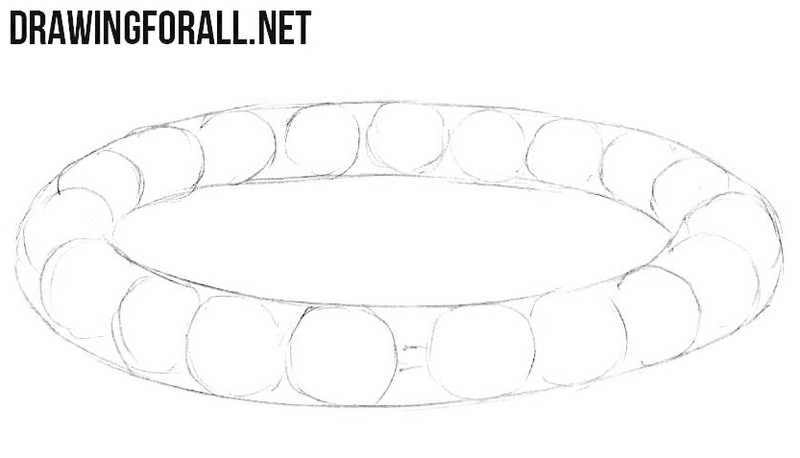 First we sketch the outlines of the bracelet in the form of a simple oval. 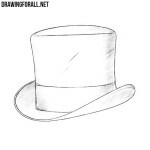 Inside this oval, we sketch another oval, smaller. 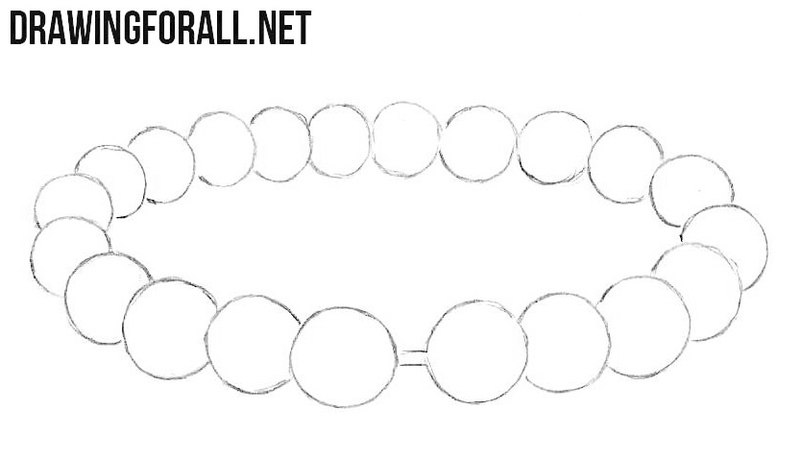 With the help of simple circles, sketch the location of the pearls. Keep in mind that in the side parts some pearls will partially overlap others. Using dark lines (or ink) carefully draw out the pearls. 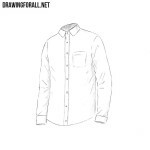 Next, using an eraser, delete unnecessary guidelines from the bracelet. Now, with the help of hatching, we apply shadows in the form of a semicircle in the lower parts of the pearls. 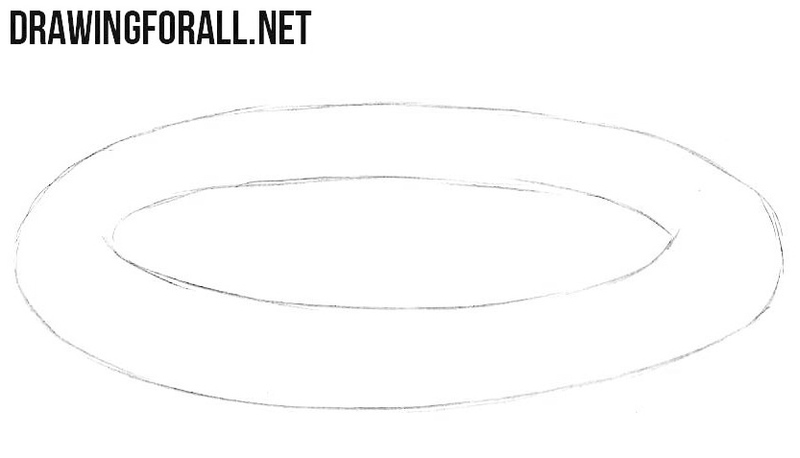 The lesson on how to draw a bracelet is complete. Today we drew a pearl bracelet, but this lesson can be useful when drawing other types of bracelets or pearl chains. 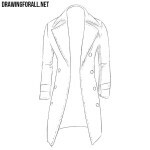 By the way, in the category “Clothes” we have prepared for you a huge number of very different lessons in which we tell how to draw clothes and jewelry.